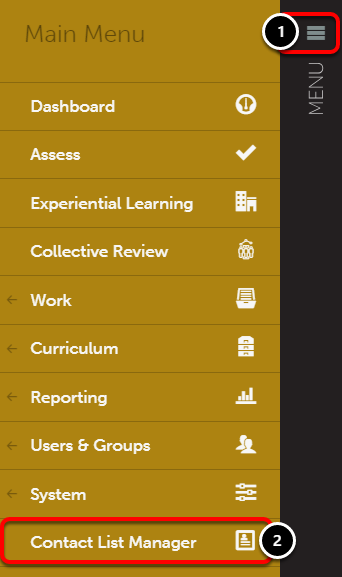 Department Contact Lists are created by Administrators for use with Surveys and Assessments when External Assessors are involved. Additionally, Department Contact Lists are now used with the Supervisor Signoff feature in Chalk & Wire's new Journals feature. 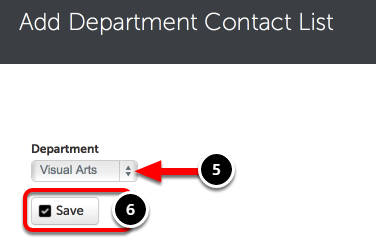 Please note that Administrators are the only Chalk & Wire users whom are able to add Department Contact Lists. 3. Click on the Department Contact Lists heading. 5. 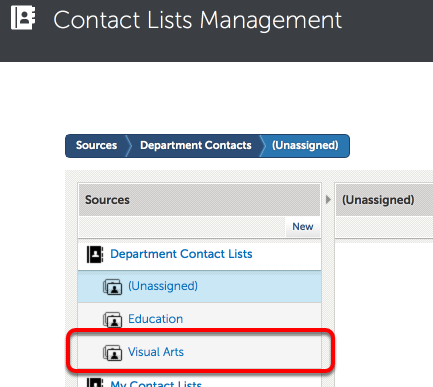 Using the Department drop-down menu, select the department that you would like to create the contact list for. 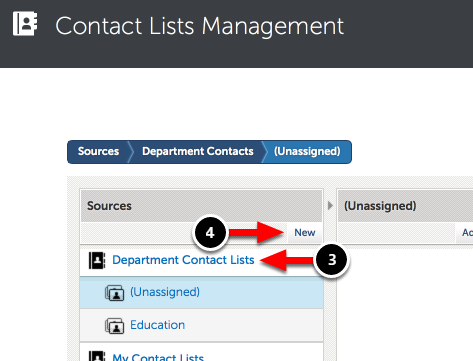 The new Department Contact List will appear under the Department Contact Lists heading.